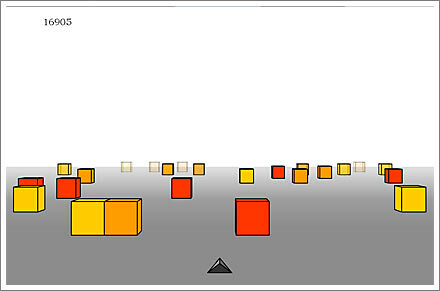 So to help you with your Monday’itis here is your weekly Timewaster, a simple flash game called cube field. It is pretty simple but also quite good fun to play. Simply use the left and right arrow keys to dodge the cubes littered about the field. ← stargate sg1 to end? how do you play it from this website! ?